The Costa Brava in the Catalonia region of Spain is one of the most beautiful and rugged coastlines you’ll ever see. Located in the Girona Province of the Catalan region, it’s a place you may not have heard about, but if you’ve seen pictures of beaches in Spain, you’ve definitely seen it before. It is one of the most photogenic areas you’ll ever come across. Believe me, we have thousands of pictures as proof. 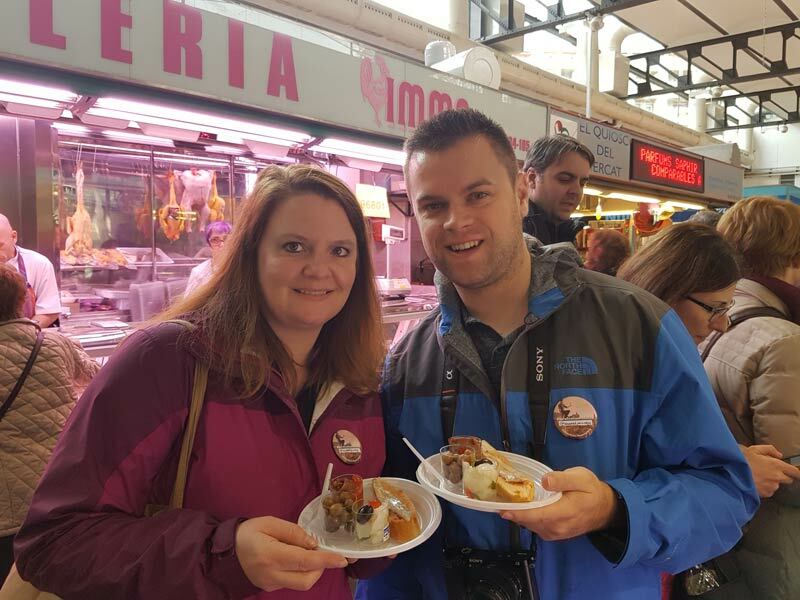 We’ve always loved Spain for its incredible food and wine, and that is what brought us to Costa Brava – the chance to immerse ourselves in the food culture, to eat incredibly flavorful food, and to do it all with the best backdrop you can imagine. If you like traveling for food, you absolutely must add Costa Brava to your bucket list. We have spent three breathtaking weeks traveling around the province and we are full to the brim with ideas and recommendations to make your Costa Brava itinerary as successful and rewarding as ours was. Come along with us as we show you how to spend seven days in Costa Brava. You can fill your days with all of our suggestions, or just pick a few that fit you best. If you’re coming from inside Europe, the easiest way to get to Costa Brava is by flying directly into the Girona airport, or taking a train. From outside Europe, you’ll have to fly into a larger airport, like Barcelona, and then take a bus or train from there. The AVE train from Barcelona takes just 38 minutes on a high-speed train and leaves from Barcelona Sant station, which is easily accessible via the metro from anywhere in Barcelona. No matter where you fly into, you really need a car to get around Costa Brava easily. While there is some public transportation, it will eat up a lot of your time trying to figure out how to get around. Of course, if you just stay in one location, like Lloret de Mar or Girona, you probably won’t need a car. For our Costa Brava itinerary, it’s best to rent a car in Barcelona, or in Girona (there’s a Hertz office directly across the street from the train station). Book ahead with CarRentals.com. The summer months are obviously the most enticing months to go to the Costa Brava. The weather is perfect, the beach is crowded with people, all of the shops and services are open. It sounds perfect! But, if you don’t want to vie with everyone else for space on the beach, or a table at a restaurant, the best time to visit is spring and fall, when less people are in the area. If you really want peace and quiet, the best time to go is March or October-December. Just be aware that many of the shops are closed late in the year (some close for all of November), so it can get VERY quiet. The region is quite large, with many possibilities for where to stay. If you’re willing to move hotels a few times, you’ll save a lot of driving time by hopping around. But if you’d rather pick a central point from which to venture each day, then Girona is the best option. For the purposes of this itinerary, we will recommend two great options in Girona now, and recommendations for where to stay along the route, if you choose to move around, will be given in each day’s description. Old part of town: Hotel Nord 1901 – Great location in the old town, walking distance to everywhere you want to go. Beautiful rooms and a nice outdoor area with a pool. Very good prices. New part of town: Hotel Carlemany – Located right in the center of the new part of town, near lots of shopping and cafes, just a block from the bus station. If you’re going to make Girona your home base for 7 days, it might be more comfortable to rent an apartment. We stayed in an apartment booked through StayinGirona and it was a great choice. There are a few apartments to choose from, so you can find your perfect location. You can also use this handy search box from Agoda to find accommodations in the area. Blanes is at the southernmost end of the Costa Brava, so it’s a great place to start exploring. The city is the second largest in Costa Brava and has an active commercial center. Tourism in Blanes is alive year-round, unlike some of the smaller towns along the coast, which mostly shut down from end of October to April. The coastline seems to go on forever, so spending time on the beach is a necessity. 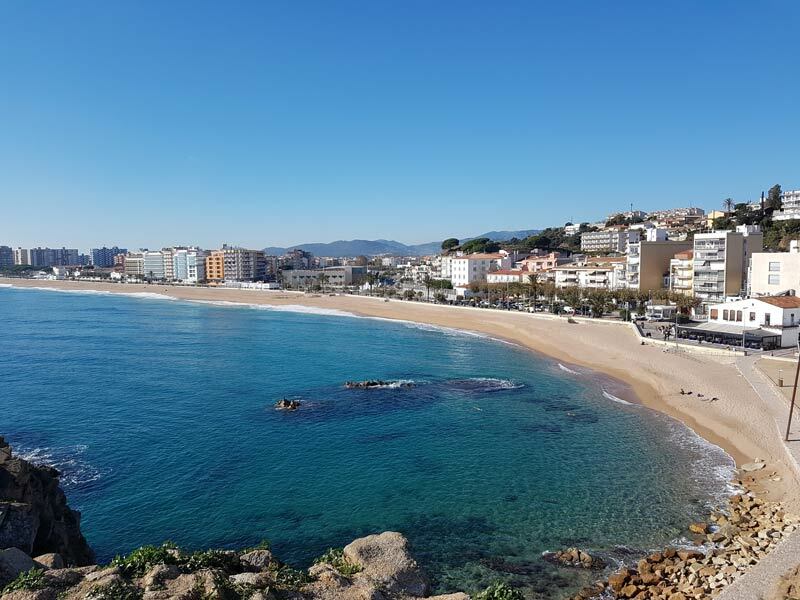 At Platje de Blanes beach, right outside the center city, you’ll find dozens of hotels to choose from, plus the walking promenade, lots of restaurants and cafes and the Sa Palomera rock outcropping that you can walk to the top of. Once you’ve had your fill of the beach (if that’s possible), head into the center of town to see the street market, visit the shops and buy some delicious treats from the 100-year-old Pastisseria Orench. They’ve been making treats like carboneres for many years. Definitely worth at stop! Then continue up to the St. Blanes Church around the corner for a peek. 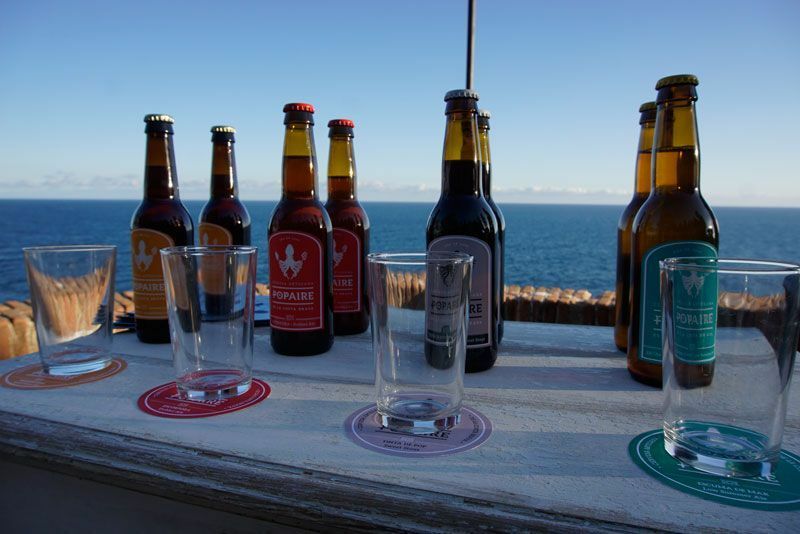 Blanes has a couple of Costa Brava’s only craft breweries and you can visit both of them with a little pre-planning. (Read more about the wineries and breweries you must visit in Costa Brava). Cervesa Marina and Popaire. Located just a little ways outside of town is the Jardi Botanic Marimurtra (Botanical Gardens). In nice weather, this is a must-visit garden, full of more than 4,000 species. Tickets cost just 6,50€. Speaking of beautiful vistas and viewpoints, you’ll find one of the best in Blanes at Castle de Sant Joan, at the top of the mountain, not far from the Botanical Gardens. Vineo Gastrobar: In order to find the really good food of Blanes, you have to get a little off the tourist track. Believe me, it’s worth it for the food. Vineo serves both lunch and dinner in a modern, well designed space. They offer a menu of the day as well as a la carte options and you really can’t go wrong with any of them. The fish is local and very fresh. The meat is tender and cooked perfectly. Just 15 minutes away by car is another fantastic beachfront town, Lloret de Mar. While it is more touristy than some of the other beaches, it is a beautiful part of the Costa Brava that shouldn’t be missed. During the height of summer, you might want to avoid it if you don’t cherish large resorts and partying on the beach, but during the spring and fall, it quiets down. Alava Park Costa Brava: If you want to go high class all the way, choose Alava Park Resort. Not only do they have beautiful rooms that will make you feel like royalty, they have a lovely beachfront property with the most amazing views. Wake up in Lloret de Mar. Take a lovely stroll on the beach and have a wonderful breakfast at Alava Park. Lloret Beach is perfect for a lazy morning. →Drive to Tossa de Mar. The town of Tossa has one of the most well-preserved old cities in the area, with a fully-intact city wall that you can walk all the way around. With the gorgeous sandy beach, dozens of restaurants and bars all throughout the narrow cobble-stone streets, and the towering view of the old city on the hillside overlooking the beach, Tossa is also one of the most charming towns on the Costa Brava. It’s a bit of a windy road to reach it from the other towns, due to the surrounding hills, but once you’re there, you’ll surely fall in love with it. Tossa is a more upscale beach town, with plenty of beachfront space to lay on and relax in the summer, lots of bars and restaurants, and a few historical sights you must check out. Tossa even has a hollywood connection, as the movie Pandora and the Flying Dutchman, starring Ava Gardner and James Mason, was filmed there in 1951, bringing with it an influx of tourists. Spend a few hours walking around the old city’s charming streets before stopping for lunch at the Michelin star Cuina de Can Simon. The restaurant is run by two brothers and is located right outside the old medieval wall. The menu features modernized traditional favorites, with plenty of seafood choices — locally sourced, seasonal and fantastic wines. This is where we fell in love with the local dish called Cim i Tomba. Spend the afternoon and evening walking through the newer part of town. You’ll find a gastronomic museum, Museum Cuina de la Costa Catalana, a small church, and a little further into town along the hillside is the ruins of an ancient Roman household. Hotel Diana: We highly recommend booking early so you can stay at Hotel Diana. It is located right on the beach with an incredible view of the castle and the ocean. There is a very nice terrace with a view from which to have a drink or a meal, and the rooms are very nice. It’s about a 1.5-hour drive to Cadaques from Tossa de Mar, so you’ll want to get an early start. The shorter route doesn’t drive along the coastline, but if you don’t mind a slightly longer drive, you will go through the cute beach town of Palamos on the way. Cadaques is the hometown of Salvador Dali. If you’re a fan, be sure to stop by the Portlligat Museum-House, Dali’s home for 50 years, where you’ll encounter some of the eccentricities of a this fascinating man. Surrounding Cadaques are many natural wonders that are well worth a day or two of exploration. There are many beaches and coves to explore, which you can find by driving along the coastline. Keep in mind that some of them are nudist beaches. The Cap de Creus peninsula has coastal walks and trails for longer hikes through the natural park and you really won’t be able to believe the pure beauty of this area. You can find lots of information here in Catalan. You can also hire a guide for a one-day or multi-day tour throug the Cap de Creus. 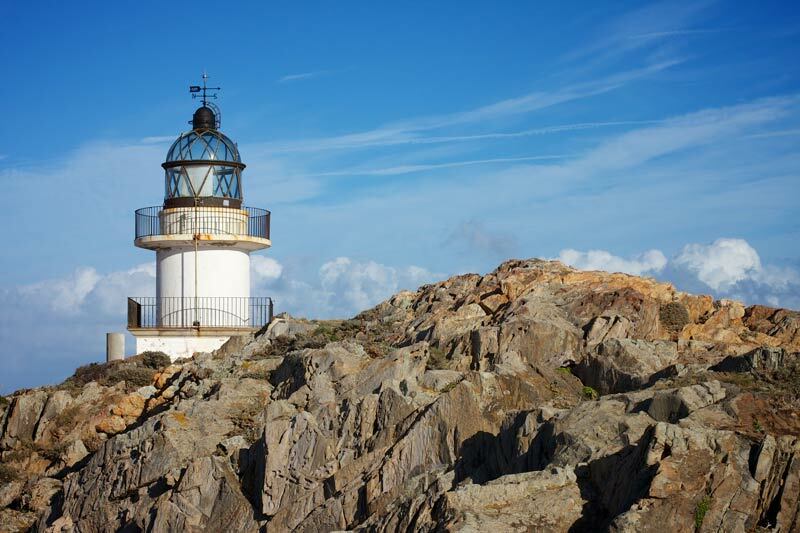 After you finish a hike, be sure to check out the nearby Cap de Creus Lighthouse. If you can make it work with your busy hiking schedule, be sure to have lunch at Restaurant Cap de Creus, or even just grab a drink. It’s an incredible view from up there and well worth the wait in high season (you will need a reservation in high season, but probably not in low season). For diinner, we recommend Compartir. It’s located right in town, along one of the small side streets. There is a parking lot nearby, or if you stay in town, it’s an easy walk. It is (currently) the highest rated restaurant in Cadaques on Trip Advisor, and for good reason. The food and service are top notch. It’s a standout meal you won’t soon forget. Book well in advance! Located up on the hillside above the main part of town is a lovely set of apartments that can be rented by the night, called Carpe Diem Cadaques. We highly recommend staying there in one of the apartments with a view at the top of the complex. I don’t think you can find a better view in town, and the apartment is very nice, with everything you’d need, even for a longer stay. Yes, it’s up a hill on the way back, but it’s only a 6-minute walk from the beach. Now you’re leaving the coastline and heading into the mountains. When you drive from Cadaques to Olot, you will take a mountainous road. During the fall, the drive is stunning with all of the changing leaves and colors. We recommend to make this a day of wine tasting, with a few side stops. The Emporda wine region is one of the most important in Costa Brava. There are many wineries in this area that are producing great wines, and are doing their part to return some of the long history and tradition of wine making on this land. There are three wineries you can stop at along the route. All require advanced reservations, so you can pick and choose based on what appointments you’re able to make. The first is Celler Martin Faixo. You’ll see it as you begin to wind up the mountain. Another nearby winery where you can walk around the vineyard and see how the traditions are being extended into modern winemaking is Mas Estela, which is just a small jaunt out of the way (but it’s worth it!). As you move further on, you come to Sant Pere de Rodes, a former Benedictine Monastery. Those the origin of the monastery is not known, the first mention of it in records is as early as 878. It’s very much worth a stop to take a look. It might take an hour or so to look around, and then you can stay for lunch at the Monastery restaurant, which has a really incredible view of the valley and sea below. After leaving the monastery, there is one more winery along the way that you must visit. It’s called *La Vinyeta and is one of the most unique wineries we’ve been to. Not only do they produce fantastic wines (and plenty of them), they also make olive oil, cheese and vinegar, and produce honey and eggs. There are other ventures coming along in the works! They plan many events and have lots of activities available for tourist. Just email them to ask what’s happening. You’ll end the day in Olot, to make it easy to tackle day 5 in Garroxta. There aren’t a lot of top hotels in Olot, but we found Hotel Estacio on the edge of town to be modern, clean and convenient. There’s even a cafe underneath for an easy breakfast. La Garroxta Volcanic Zone Natural Park has 40 volcanic cones and more than 20 lava flows. This makes the area very unique and interesting for hikers and explorers. You’ll want to spend some time hiking in the area to see the volcanic activity that has shaped the land over thousands of years, and to see the natural wonders that abound. Nearby is the town of Olot, where you’ll find even more things to, from visiting breweries, to walking around the old town and marketplace. La Fageda d’en Jordà is a beech forest that stands on a lava flow from the Croscat volcano. The trees grown up through the lava. It’s a very interesting walk, and mostly flat, so almost anyone can enjoy it. The best time to visit the forest is during the fall when the leaves change color and light up the forest in bright reds and oranges. You can walk up many of the volcanoes in La Garroxta. The climb up Santa Margarida is one of the local favorites. It’s only about a 30 minute hike to the top. There are 28 walking/hiking routes in La Garroxta that you can take advantage of. To plan your routes, see this site for more information on the paths. Once you’ve done some morning hiking and worked up an appetite, make your way to Olot’s city center, where you’ll find the central market. While the market is fairly small, you’ll get to see the way of life for many locals, who come here for their daily shopping. If you want, you can even pick out your own ingredients from the market and take them to La Cuina del Mercat restaurant, where they will cook up a meal from the ingredients for you for lunch. If you’re a Game of Thrones fan, you probably already know that many locations in the old part of Girona were used as filming location for the show. It’s the perfect place for it, as many of the streets and alleyways are incredibly awesome, for lack of a better word. You’ll truly feel like you’ve stepped back to another period of time when you enter the city. But the old part of town is not all that Girona is about. There is also a vibrant modern part of town that has an amazing array of shopping and dining options. We stayed in Girona for 14 days and never grew tired of it. It’s fun to walk around, sit on a terrace with a coffee, or just people watch. 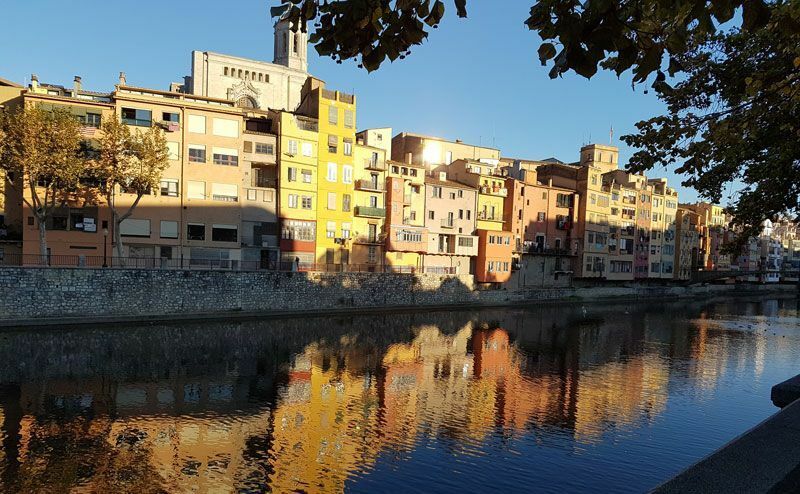 Read more reasons to love Girona in this post by Eternal Arrival. The first thing we did in Girona was take a Game of Thrones walking tour to see all the filming location. This helped us better appreciate the old city and learn a lot of history, plus combine it with our love of GOT. If you’re a fan, it’s an absolutely must. Another great option is to take a walking tour with Girona Food Tours and take a cooking class with Tots a Taula (our friends from 2foodtrippers.com took the class and loved it so much they made a video about it!). Girona also has a market, where the locals can be found on the weekends doing their weekly shopping. I warn you not to go in there at around 10-11am on a Saturday. You may not come out with all of your toes, as the locals pull their carts around after them and they know how to navigate that place. On a week day, you can walk through and admire all of the fish, meats and products. It’s really interesting to see all of the Catalan products in one spot. If you have some extra time to fill, you could take the quick 25 minute drive out to Hostalric, a small town on the outskirts of Girona, where you’ll find the Domus Sent Soví, Centre Gastronòmic d’Hostalric, a gourmet-focused center that highlights many of the products from the area, and hosts classes and workshops as well. We saw a wonderful cooking demonstration by the Cuina a la Sils organization at the center that was wonderful. Be sure to check out their calendar of events. We struggled our first few days to come up with somewhere to eat in Girona. We stopped by the local favorite bar Konig a few times for tapas (the patatas bravas are delish! ), but we wanted something more. The longer we stayed, the more places we uncovered. Our favorite place for cocktails is hands down Nykteri’s Cocktail Bar, where you’ll find a local bartender mixing up amazing drinks. We had some with the local’s favorite ratafia (a very spiced up liquor). One of our favorites for lunch was Restaurant Sentits. It’s in the new new part of town, and the menu seemed to mirror that modernity. We had olives that weren’t really olives, little cones of deliciousness and even some interesting dish that included foie with coca-cola. The menu of the day is definitely the way to go there! If you book far enough in advance (I’m talking months! ), you’ll be lucky enough to dine at the (current) #1 restaurant in the world, El Celler de can Roca. It will set you back a few hundred euros each, but I’ve heard it’s very much worth it. If you’re like me and didn’t get a reservation, you can still dine well at Girona restaurants like Nu and Llevataps, both of which have tasting menus to enjoy. Looking for something more casual? Try La Fabrica. And for dessert, don’t miss Rocambolesc ice cream shop. 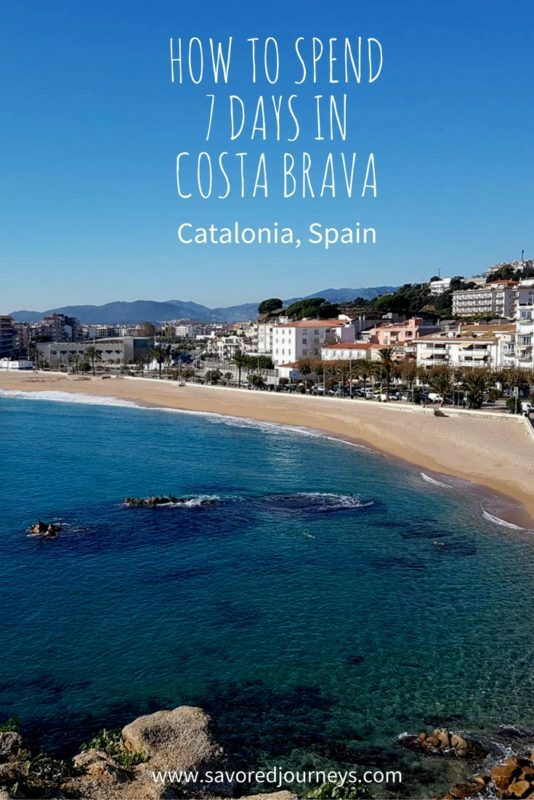 With so many things to do, it can be quite overwhelming to make a perfect itinerary for Costa Brava, but our 7-day Costa Brava itinerary should help you narrow down the choices and see many of the best things the Catalunya region has to offer. Even if you’re only in Costa Brava for a few days, you can still get a good idea of what you’d like to do from this Costa Brava itinerary. Let us know if you have questions or want to discuss your own trip to Costa Brava. We love to hear from you! A big thank you to the Costa Brava Tourism Board for helping us see and learn all that Costa Brava and Cataluny has to offer. See all the coverage of our trip to Costa Brava in Catalunya. Like this post? Save it to your Pinterest board! This entry was posted in Itineraries and tagged Catalunya, Costa Brava, itinerary, Spain. Have not made it yet to Costa Brava and this article provides all the reasons to go visit. 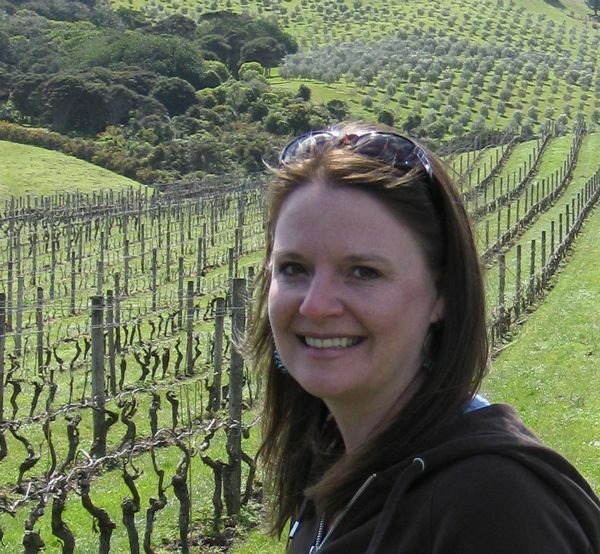 The food, scenery and of course wines, sound amazing. From your pictures, I’m drawn to the beauty of Girona. Did you have a particular region that you enjoyed the most? Great write up!! We really enjoyed our time on the coast – Tossa de Mar has a really nice vibe, and Cadaques is just beautiful. We also really enjoyed the drive inland from there to Olot, and even north of there (which didn’t make it into the post) Ripolles and Cerdanya. Girona obviously too. Such a great town. Definitely do! It’s a really great destination. I hope you do make it there soon. It is very beautiful. Thanks Christopher! We eat to please. Girona was really fun for the Game of Thrones tour. You’d love it, I’m sure. Did you get to go to Begur and Platja D’Aro? If so, what are some of the things to do there? How is the drive from Barcelona to Costa Brava – good road conditions and safe? No, we did not get to either of those. The drive from Barcelona to Costa Brava is easy and quite safe. It`s a major highway that`s well marked. Such fun! I’d love to follow in your footsteps and bites. Very funny – the picture begging. Winter is coming! Oh, this is perfect! These photos make me want to visit Costa Brava asap (especially with winter -_-), and I love how clean and easy to follow your itinerary is. All your where to eat places sound perfect as well! I’m spending a month in spain early next year and even a month doesn’t feel like its enough. I am getting very excited about it. Ah, I would love to go to Costa Brava. Tossa looks like a cool town to visit, so cute! Definitely adding that one to my bucket list. Fantastic itinerary! Wow, Costa Brava appears to have it all – fine food, beautiful beaches and warm sunshine! It’s been too long since my last visit to Spain. I will keep your fab 7-Day itinerary in mind for road trip along this gorgeous coast. I’ve heard about Costa Brava but didn’t know about all it’s different regions. I’d love to spend a week exploring it. I think exploring the Emporda wine region would be my number one! Thanks for sharing. It looks beautiful. I’m planning at trip to Barcelona and Costa Brava for my family of four (2 boys and my husband and me) in July. We’re planning to spend 5 nights (I think!) in Barcelona with day trips to Montserrat and Girona, but then want to spend a few days at the beach. Would Tossa de Mar be a good place to stay for that amount of time? Is it a good family place? Yes, Tossa de Mar is a great place to go with your family for some beach time. I think you’ll love it there! Palamos and Cadaques would also be great spots for the family. We are going to Rosas in Costa Brava for a Soccer Tournament with teens – any of the above make sense for 1/2 day or day trips? TYSM!